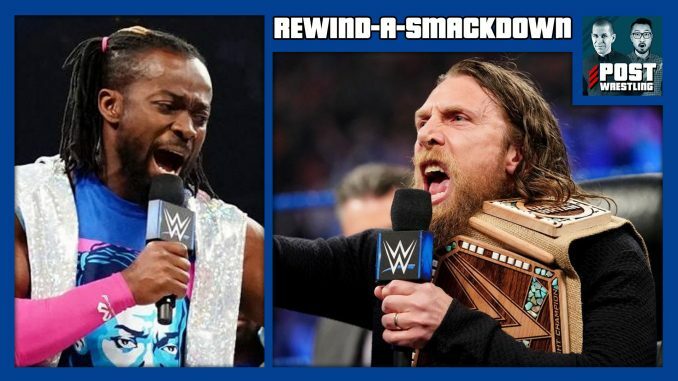 John Pollock and Wai Ting review Tuesday’s episode of SmackDown from Baltimore, Maryland. On the final episode before WrestleMania, Daniel Bryan and Kofi Kingston engaged in the annual WrestleMania contract signing, Becky Lynch left jail under her own recognizance and was driven to Baltimore, the SmackDown tag titles will be defended at WrestleMania in a fatal four-way, The Miz took on Sanity, and Randy Orton’s Wellness Policy violations became promo material for AJ Styles. And more additions to Starrcast announced.